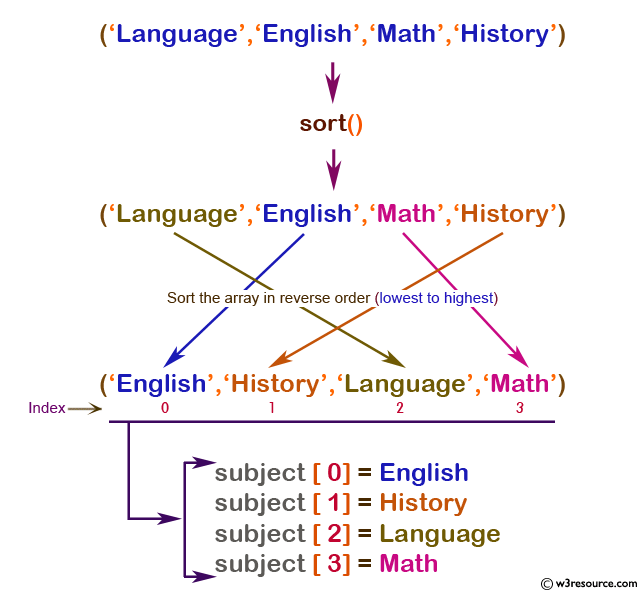 The sort() function is used to sort array elements. Elements will be arranged from lowest to highest when this function has completed. sorting_type Sets the sorting behavior. SORT_REGULAR - Compare items normally. SORT_NUMERIC - Compare items numerically. SORT_STRING - Compare items as strings. *Mixed: Mixed indicates that a parameter may accept multiple (but not necessarily all) types.